Camsensor Intertech 's Q:Seal tray pack systems are machine vision systems that have been developed to check the seal integrity of thermoformed food trays. 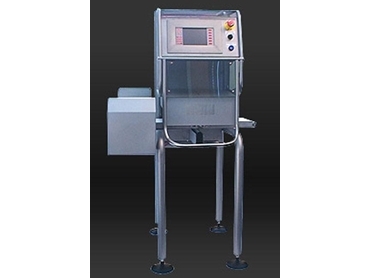 These machine vision systems assist in assuring a top seal quality, detecting any food residue or flaws like folds, creases or missing seals with high accuracy. Q:Seal inspection systems are comprised of a compact machine unit that can easily be integrated into an existing production line. When in operation, a Camsensor smart camera scans the passing trays continuously on a split conveyor. Single and multi-compartment trays can be inspected reliably, and faulty seals are marked with an instantaneous reject signal. An in-built Camconsole operator interface provides real-time production images, allowing for a quick setup of new products. Production data can be recorded to a database to review production processes.